time wave zero « CONSTABLE RESEARCH B.V. The amount of Ideas (Novelty) is increasing exponential. This is predicted by Timewave Zero of Terrence McKenna. The model predicts a singularity at December 21, 2012. At that moment we will jump to a completely new level of Consciousness. 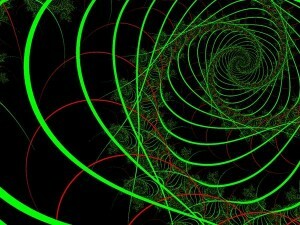 The most interesting prediction of McKenna is that in 2012 we will be able to Travel Space/Time. This will make it possible to move back in Time and travel the many Time Loops. We will also be able to leave Earth and Travel to the Seven Parallel Universes that are until now veiled for most of the people on Earth. Only the Shaman (the Mystics) were able to do this until now. They knew how to move through the Void into Space/Time. To do this they have to Cheat the Raven (or the Eagle or the Demiurg), the Creator of the Matrix that generates the current state of Linear Causal Time. A new Phase of Time Wave Zero will start at 2010. At that time we will move into a very high state of acceleration. Perhaps you think Time Wave Zero is barely nonsense but you have to admit innovation is speeding up in an incredible way. When you are an employee you don’t know what is happening. Perhaps you suppose that your boss or the management will take care of you. Suppose they are also completely in the Dark about the Future. When you are completely in the Dark about the Future you are reacting on impuls to everything that is treatening your company. This is called “muddling through“. The effect of “muddling through” is that many projects fail or are stopped before they are finished. To muddle you need a lot of money. When your company is in trouble the money is gone and the only impulse that is left is to fire people. This starts a downward spiral. Imagine the next four years innovation will speed up with a speed nobody has seen in the history of the world. If this happens your company will move into a State of Chaos. Not only your company will end in a State of Chaos you will also get stressed to a level that your body will get out of balance. You will get sick. What can you do to survive the last four years of history? To find balance you have to become an Observer. Watch the outside but don’t react on impulse. Reflect about what is happening. Use your analytic capabilities and face the facts. Many people wan’t see a pattern. When you don’t see a pattern you get overloaded. Your intuition knows the pattern but is unable to explain the pattern. You feel something is going on but don’t know what it is but it is getting stronger. When you use your intuition you know how to react to a situation. It feels good or it feels bad. Always follow the good feeling and have the guts to trust this feeling. It will lead you to to right path. When you are on the path, the path will take you. You will be in the Tao. The path you will find will be the path of your heart and the path of your talent. Use your talent it will be needed because you are on this world to learn and to grow. When you feel the Spirit you will receive the right ideas and you will meet the right people at the right time. They are your soul-brothers and soul-sisters. Respect them and value their talents. We will only survive the Singularity when we Cooperate. Use all the resource that are available but don’t exceed the limits. Take time to enjoy your friends, your wife or husband and enjoy nature. Nature is a place where you will find rest. Listen to and make music. Music will bring you in a state of Harmony. When the time comes don’t be afraid to Jump To the Next level. The next phase will not be a disaster. It will be a phase were we will be able to Co-Create with the Spirit, the Creative Force of Life. I have spent a lot of time this week to analyze Time Wave Zero of Terrence McKenna. I have developed my own cycle model. When somebody else has developed such a model I want to find out what the differences are. Suddenly I got a flash of insight and was able to map my model to Time Wave Zero. I will try to explain what I did. The cycle is really a (logaritmic) spiral that is closed in itself. It has to be closed in itself because otherwise the spiral would move into infinity. Infinity is a concept that has created many problems in mathematics. The Dutch mathematician Brouwer created a mathematics without infinity and he proved to be right. George Lakoff proved the same thing by showing that mathematics only works when you are able to visualize a concept. Humans need a metaphor to reason and the metaphor has be connected to their material existence in space. When a pattern is logaritmic and closed in itself it is a self-referencial system and a self-referential system is a fractal. The cycle I discovered emerged when I was studying Chinese Philosphy. To understand Chinese Philosophy I went back in history and discovered the Yellow River Map. The Yellow River Map was created by the first Emperor of China and is in essence a magic square where the sum of all the numbers is 15. The magic square has a 5 in the middle. The first Emperor of China came from the land of MU. MU or Lemuria is an old civilization that existed before Atlantis. The science of MU was aimed at Creation, Harmony and Beauty. Out of the Yellow River Map came the I Tjing and the I Tjing was the basis of Time Wave Zero. What Terrence McKenna did not see is that the cycle moves through five stages. The Chinese called them Wood, Earth, Fire, Water and Metal. In other systems different names where used. The most simple model that is you can use to understand the Cycle is the model of the Seasons. The names of the phases are really not important they are principles or metaphors. Fire is the principle of Expansion and Wind (or Air or Wood) is the principle of Compression. I named the principles Plan, Performance, Protection, Potential and Possibility. It is very difficult to imagine or understand the principle of self-reference. Self-reference means that a pattern is repeating on every level. When Self-reference is closed in itself the principle is also repeating itself. The last thing you have to understand is the principle of resonance. Cycles can be seen as Waves and Waves interfere. Long Cycles interfere with Short Cycles. Short term cycles are “riding the waves of” a long term cycle. When Waves are seen as Music the Cycles produces Overtones. When many cycles are in the same stage they are creating a conjunction and the principle of the Wave is amplified. In essence the Waves are related to Music. We are in the Compressing Phase of the Cycle of Time (Male). The Compressing Phase means that Time is Speading Up and we are reaching the Zero Point. In every step of the compression we see the same fractal appearing and the fractal moves through the five stage but in an excellarating speed. When we have reached the Zero Point the Wave will Move Back in Time. We will see the same stages appear but the Cycle will be reversed. It will move through the same stages but in a different order. Until today the Cycle is moving according to what the Chinese call the Destructing Cycle. When we move back in time we will be controlled by the Generating Cycle. This is the Cycle of Creation. 2012 will be the big turning point in many cycles. It will be a major conjunction and in this conjunction one aspect of all the cycles (Essence, The Centre, Harmony, Beauty) will be extremely amplified. We are reaching a moment of Pure Beauty and Extreme Harmony. After that the Cycle will move back. It will be in the expanding mode (Female). But before we reach this point Zero we will experience all the stages in an excellerating mode. We will Expand, Compress, Find Balance, Move Up and Move Down until we have reached the Top the final point of Total Compression of Every Thing, The Alpha and the Omega. It will be a very “Bumpy Ride” and many people will experience the compression as a Major Crisis. Many (Male) Believe-Systems will fale. At the end we will be without any model to explain what will happen. The Male-principle of Total Control will fail. Science will be without any answer. The Emotions, the Unconsciousness, and the Imagination (Spirit) already know what is going to happen. We will be ONE for a short infinite moment of time.